Over the past few months or so, we’ve interviewed quite a few YouTubers whose channels focus on game design. There was Snoman Gaming, who we talked to back in April 2018. There was Designing For, who had an interview with the site just a few days ago. And today we’ve got another one in the interview room. Namely, Skip the Tutorial, a popular channel known for their Boss Battle Breakdown videos and coverage on design concepts and issues in series like Mario and the Legend of Zelda. So if you’re interested in what they have to say about games, game design and YouTube as a whole, keep reading! It’s going to be great! 1. Right, may as well start with the basics first. Who are you? Who is behind Skip the Tutorial? Hey there! I’m Sam. I’m a full-time student, and I run a YouTube channel called Skip the Tutorial, where I focus on Nintendo analysis content. 2. And where did the name come from anyway? I don’t have a lot of patience, primarily when I was younger. I always wanted to learn on the fly, so that impacted a lot of my outlooks on design. The best games, in my opinion, teach by doing – not through dialogue boxes. 3. What about your interest in gaming? What was the ﬁrst game you played? 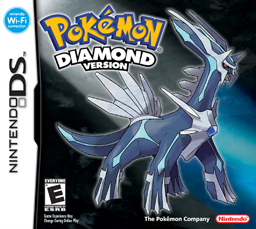 The ﬁrst that comes to mind was a big obsession with Pokémon Diamond back in the day. Hundreds of hours poured into Sinnoh, and that started a lot of my love for the franchise. 4. Either way, it’s clear by the focus on Nintendo games that Nintendo was a big part of your childhood. How did you get into their games? GameBoy Color and GameCube were my ﬁrst systems, so the influence was there out the gate. Also, growing up and Nintendo games go hand-in-hand, with all the multiplayer support they pour into ﬁrst party titles. I used to carry around my GameCube and foldable screen accessory for a match of Double Dash anywhere I went for years. 5. Onto game design now. How did you ﬁrst get interested in it? Growing up, I always thought I would end up making games in some way, so the interest was still there. Past that, ﬁnding analytical content on YouTube, like Egoraptor’s Sequelitis and Mark Brown’s Game Maker’s Toolkit played a substantial part in making me want to learn and discuss design. 6. And when exactly did you realise that some games weren’t just annoying to play/difﬁcult, but played poorly because they weren’t well designed at all? 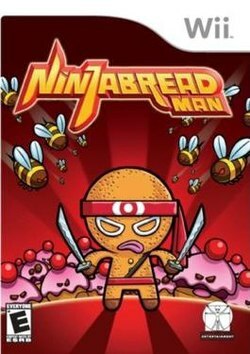 The cheap shovelware games of the Wii and DS opened my eyes to flat-out lousy design. A natural gift from family members were licensed titles for other brands I loved, and the layouts in those ranged from mediocre to just unplayable. 7. Regardless, it’s clear out tastes change as we get out. So what games did you play as a kid that you’d consider poorly designed by more objective standards? For one, I used to think the bosses in Kirby: Squeak Squad were a lot better than they were. It turns out that it was a lot of nostalgia blindness since that was my ﬁrst exposure to the Kirby series. Still a fun game, but I can’t defend the boss design in the ways I used to anymore. 8. On the other hand, which would you say hold up really well today and why? Rocket Slime from the DS is one of my few titles that I don’t hear a lot about, but I love it to death. Each tank ﬁght in that game has a surprising amount of depth, especially the ﬁnal two. 9. One thing you touch on quite a bit in your videos is how developers seem to learn from their experiences and put that accumulated design knowledge into making games, levels and bosses better, as seen with the improvements Dedede and Meta Knight have had in the Kirby series. What other franchises have had a marked improvement in their design as they evolved over time? Mario Kart sticks out to me. The way that series evolved becomes apparent when you play one of the older titles. 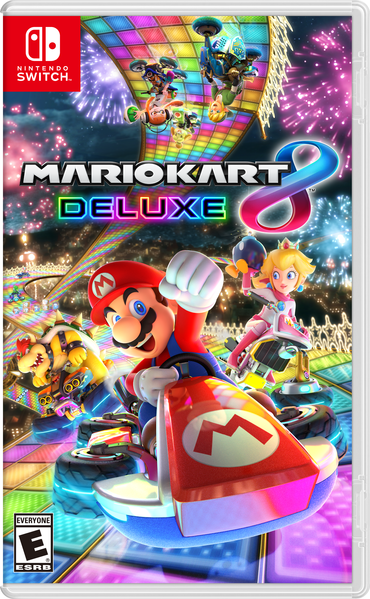 The newer stuff, like Mario Kart 8 Deluxe, really hones in on the pure enjoyment of that series. 10. Any that… kind of went the other way? Paper Mario seems like an obvious example, but are there any other notable ones? Mario Party can fall off the beaten path from time to time. Granted, that’s why I think it’s so great that Nintendo has this “back to our roots” mindset with the Switch. 11. Still, it seems for the most part, game design may have gotten more serious in recent years. Do you feel like that may be the case, or that developers are placing more importance on it now? I think it’s much more apparent now, especially as the Internet builds up a more signiﬁcant wealth of knowledge on the subject. Looking at emerging indie developers, now they have such an opportunity to research every aspect and learn from the past, which I think shows in their designs. 12. And if so, why do you think that may be the case? Now that we have great resources like Game Maker’s Toolkit, Good Game Design, and websites like Gamasutra and Reddit, I think there’s a lot more of a “learn from the classics” attitude in the game development scene that can show a lot of beneﬁts. 13. What about in fan games? Have fan game creators taken game design more seriously in recent years? I think it ranges a lot. Primarily, I believe it comes down into why the devs got into making fan games, be it the lore, world building, or gameplay. From what I’ve seen, there are some great designers in the fan game scene and some that might need a little work, but it’s just so cool that these inspirations get young developers into game development in the ﬁrst place. 14. That said, game design coverage doesn’t seem to be equal by genre, and your channel is one of the few that actually covers party and racing games at all. Why is that? Why does it seem so much game design discussion is focused on platformers and ﬁghting games? I think party and racing games don’t get covered as much because they can rely so heavily on the friend group behind the controller. I’ve had plenty of experiences with my pals where we made the best of a poorly designed game and had a blast because of it. In other genres, the mechanics can be broken down more and ﬁnetuned, but party games thrive in the randomness. 15. Are there any games or genres you think really need more attention as far as game design videos and articles are concerned? Honestly, I think the coverage on mobile game development needs to spread past tutorials on coding and dive into the actual design. Especially since the medium by nature has such a limiting control scheme, I would love to see a more signiﬁcant push for compact and simplistic game design on that front. 16. Let’s talk game design in the moment now. Which recent games do you think had really well-designed levels, bosses or mechanics? I’m a sucker for the design in Nitrome’s Bomb Chicken, which does “easy to learn, difﬁcult to master” perfectly in its mechanics. 17. Any you felt could have done a bit better on this front? I don’t have any speciﬁc game to single out; however, I will say that in 2019, it ticks me off to still have platformers with lives systems. Considering it’s in large part a holdover from arcade cabinets, and in a lot of examples, the games are pretty easy where you won’t Game Over anyway. I think it’s a little archaic and not used intriguingly, at least on a large scale. 18. May as well move onto YouTube next. So what made you decide to start a channel there? I’d been interested in making videos for the site since 2006 and had started and abandoned various channels along the way. For STT, I wanted to learn to edit in Premiere Pro and decided to use Barry Kramer’s Game Grumps editing tutorial – an excellent resource for beginners – to pick up the basics. Well, I initially kicked off with let’s play content, so that’s some real competition! Haha. But in actuality, I got into game design because I wanted to practice editing in a way that LP’s didn’t quite let me do, and I was so inspired by Sequelitis and GMTK to make that kind of content. 20. Still, you deﬁnitely made your own mark on the genre, with videos that manage to separate themselves from the Game Maker’s Toolkit esque ones. How did you decide on your current style of video? I’m not a designer. I don’t have any experience, so I try not to present my videos from an angle of expertise. I love studying why games work the way they do and reporting my takes on what I ﬁnd. Someone like Mark Brown has a lot more time in the analytical side of the ﬁeld, and that’s a super effective angle for the game design scene, but it’s also hard to replicate. 21. What about the games you cover? How do you decide which games to make videos about? I knew it would be on Nintendo games because I love talking about the games I have the most experience with playing. From there, the idea for Boss Battle Breakdown came when my friend and I were rattlingly off potential names for my op-ed series, and that one just sounded right. Plus, I’ve always loved boss ﬁghts in games – and boss rushes in particular, so it was a natural ﬁt. As far as when I pick a new game to cover, it comes down to what I’m playing right now, what my audience seems excited to discuss, and a piece of design that sticks with me. 22. Any you wanted to make a video about, but reconsidered for whatever reason? If so, why was that? I’d love to do more Monster Hunter analyses in the future, but there’s only so much to say about a monster’s design without sounding too much like a guide video, which is not my goal. 23. Out of the videos you did publish, which do you think is your best work? I believe my video on fan game bosses is my best work. I had plenty of time to work on the whole process, did plenty of research, and it felt like a pure joy to create. 24. Another thing your channel seems to have moved into recently is challenges, with videos covering coinless Mario runs and Punch-Out Wii runs without dodging. What inspired you to create these types of videos anyway? I’d always been fascinated by self-imposed challenges. The series, Play by the Rules, had existed in many different forms before reaching where it is today. From a weekly stream to comedic highlights, and even off-the-cuff reviews – it’s a series that’s developed a lot on the channel. I love the direction it’s going in right now, especially with the support from the challenge community lately. I think there’s a lot of interesting angles these challenges can reveal in design. With the Punch-Out!! no dodge run, for example, that shows just how much consideration Next Level put into considering different ways for approaching these ﬁghts, which is incredible. I love that stuff. Documentaries are a huge long term goal to work on for the channel, especially after seeing folks like Noclip and Thomas Game Docs do so well with it. The coinless video was a lot of fun, so I would be very interested in doing more if the right topic catches my eye. 27. Onto YouTube as a whole now. First, did you expect your channel to become as popular as it is? Never. I have such a history with the platform as a viewer that it’s bizarre to see the other side ﬁnally. The support has been incredible, and I’m fortunate to have found such a great community of people to discuss games with on a biweekly basis. 28. Hell, given how quickly it seems to be growing, have you considered monetizing it a bit more? 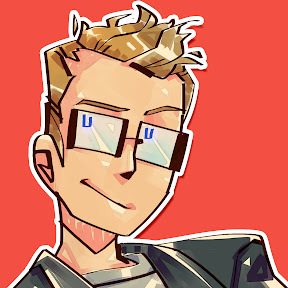 Like through Patreon, donations, other forms of media, etc? It’s crossed my mind, but it’s something I want to put plenty of consideration into before taking any steps. I don’t want to do anything only halfway, so something like a Patreon would require a chunk more prep on my part. My schedule can get ﬁlled up as it is, so that goes on the back burner. 29. What are your goals for your channel in 2019? More of the core stuff! I’ve still got plenty of ideas for Boss Battle Breakdown, as well as some op-eds and challenges I want to make. It’s shaping up to be a pretty exciting year, so I’m looking forward to working on it all. 30. What about other channels you like? Any other great gaming channels you believe more people should check out? There’re plenty – the community has such a wealth of talented folks. Lately, I think Thomas Game Docs does incredible work that requires plenty more attention. Dan Root knocks it out of the park, as well. More of an analytical angle, but super helpful for video game animation studies. Collabs are a considerable part of what I want to do more of 2019. It’s a lot of how I got started and absolutely an aspect I want to return to in the coming months. 32. Last but not least, what advice would you give someone wanting to get started on YouTube? Oh geez, there’s so much to say on this topic – I’ll go practical. If you have an interest in making some gaming content, I’d recommend trying to make a Let’s Play ﬁrst. Hear me out: it can be a massive help for editing, plus it allows you to have fun with it – a great way to try new things. It’s a fantastic way to start making episodic content on a regular basis. Good way to learn backlogging, as well! Film in large chunks, cut it into 10-minute sections, and then you can edit throughout the week without ﬁlming each episode separately. Finally, it’ll get you comfortable talking into a microphone, which is very important. But, the full truth, even if it’s not that, start uploading something and make it on a regular basis. Quality is subjective, but quantity and trying something new consistently will make you better. Yeah, you’re not wrong there. As Malcolm Gladwell says in Outliers, you generally need 10,000 hours of work to become an expert at something. No one starts off fantastic out of the gate, and it’s through hard work and graft that you’ll eventually become great at what you’re interested in. So don’t worry too much about your first few videos. Don’t panic that your initial works aren’t as good as you’d hoped they were. it’s normal. Everyone starts out making mediocre videos (or games, or books, or art in general). Cut the endless plans, forget the perfectionism and just make videos. Keep making them, learn more about your craft and put in the hours, and you’ll eventually become the YouTube pro you always knew you could be. Or you could watch the Skip the Tutorial’s videos and put those 10,000 hours into learning game design. That works too. Regardless of what you do though, why not tell us what you thought of the interview. Did you enjoy reading it? Learn anything new about game design or video production? If so, tell us what you learned (or anything else you want to discuss) in the comments below or over on the Gaming Latest forums today!